Any hunter knows the woods come alive at night as the majority of game animals are nocturnal while others are semi-nocturnal. The majority of tracking takes place in the early hours of the morning or at dusk. This is where the best low light rifle scope gives you versatility while hunting. A low light riflescope is a great tool helping you to hunt in darker conditions giving you the right light on your gun. Compared to other models available, this piece of intelligent equipment gathers maximum light and has an illuminated reticle. They feature 40mm or larger objective lenses and have a 30mm body instead of a 1-inch body. The low light scope can make a huge difference when pursuing animals compared to the traditional scope. To make your life a little easier we have compared different low light scopes. View our comparison table to make your optic selection a breeze. Find detailed low light rifle scope reviews of each device to make an informative choice when in need of buying one. The first question you need to ask yourself is how far you are planning to shoot. Second, what type of game animals are you going to shoot? 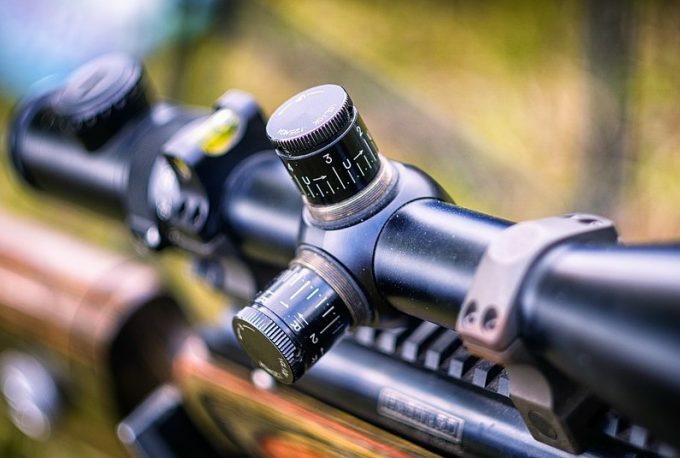 The distance you are planning to shoot is important as this helps you to decide what type of magnification you need in the optic you plan to buy. The size of the animals also important as the magnification helps to bring the image closer and makes it clearer for a perfect shot. If you plan to hunt large game found in dense forest, the chance is you will be close to the target. The low light optics reviewed in our comparison table offers you both fixed and variable magnification and ideal for any type of situation ranging from 3 – 8x magnification. 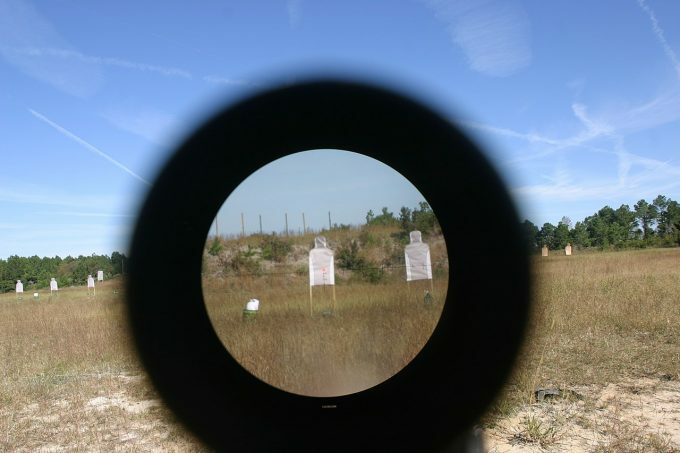 Hunting in large open spaces while shooting at small targets further than 600 feet away requires choosing an optic in the 12 – 20x magnification range. With the reviewed scopes found here, each one offers you the versatility to shoot game from close and far away. 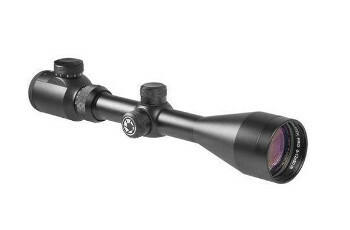 However, if you are not sure you can settle for a 3-9x 40 scopes, as it is an all-rounder to use in any type of situation. In general, optics are all about gathering light. It is doubly important to do so well when you are starting out in a low light condition. One of the easiest measures of how much light a scope can collect is its objective lens size. This is normally measured in mm and is the last number listed in a scope’s name. So, a 3-9x 40 would sport a 40mm objective lens. If the lens quality remains the same a large lens gathers more light. All riflescope have visual markers known as the crosshair or reticle. These markers show you where the shot will go once you pull the trigger and make it easier for you to get a precise shot. Further, it helps to increase your chance of hitting the target. There are any number of different styles available today. You will want to consider one that not only is easy for you to see but also can be illuminated in darker settings. How far and what time of day will you be hunting? The distance you travel and time of day is just as important as it determines the size of the objective lens you need. For low lighting conditions, a large objective lens is better as it gathers more light producing clear visible images for the best shot. These types of riflescopes give you a large field of view than a smaller one. Choosing one with a 40mm objective lens is perfect to use in all lighting conditions. Now that you have answered, the above questions make sure to read our detailed reviews. 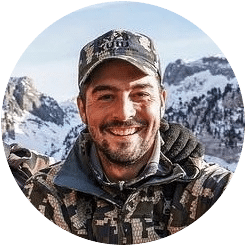 We have rounded up some great choices and have given you the information that you’ll need to make an informed decision on which is the best choice for your hunting style. The Bushnell Banner Multi-X has everything you need for hunting game. For brightness and clarity, the Banner has a DDB (Dusk & Dawn Brightness) multi-coating. With the versatility of this riflescope, you can hunt as short and long distances as you would like with the adjustable objective. The build of the optics is durable and made with a one-piece tube and has a ¼ MOA finger adjustable windage & elevation. The tube diameters one inch and has a matte finish with hardwearing shock resistant exterior. Other standout characteristics are the F.O.V and are 29-feet at 100 yards when using 4-time magnification while the 12X magnification offers you 11 feet @ 100 yards. The eye relief is 3.3-inches and has a second focal plane with an adjustment range of 60-inches at 100 yards. Further, the adjustments knobs you can reset to zero, once the optics sighted. Related: Suitable to use with the Utg High Profile Mounts in order to give you a high and easily viewed scope picture. The Monstrum Tactical AO has amazing features for any type of shooter. The optic has an adjustable reticle with five levels of brightness. For better visibility to use in low light environments it has two illuminated colors you can choose to use red and green. The windage and elevation dials are adjustable with a ¼ MOA included locking turrets. The objective lens adjusts allowing for a sharper focus eliminating the parallax and estimation of range. For estimating, the range and compensating the bullet drop the rangefinder reticles markings are a great help. 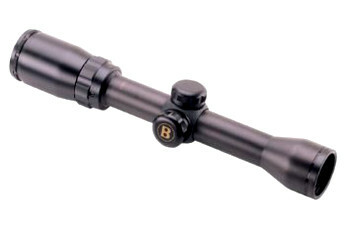 The riflescope has a durable aluminum construction making the optic lightweight to carry over longer distances. No matter what the weather permitted for the day the scope is nitrogen purged for fog and water. For mounting the scope you, need a mount with a 0.5-inch clearance and for ease of use; the supplier has included one making this an affordable buy. The illuminated light works with a 3V CR2032 battery. The Nikon BuckMaster II is any hunters dream, especially for low light conditions. The lenses are multi-coated and give you a superb eye relief of 3.7-inches with a 100-yard parallax setting. The popular Bullet Drop Compensator reticles available in the sight are a see-through circle and great for long-range shooting. For shorter-range shots, the crosshair is the aiming point. You can use the optic with the Nikon Spot on Ballistic Match Technology. This allows you to discover the exact aiming points when used at different yardages while using certain ammunition. 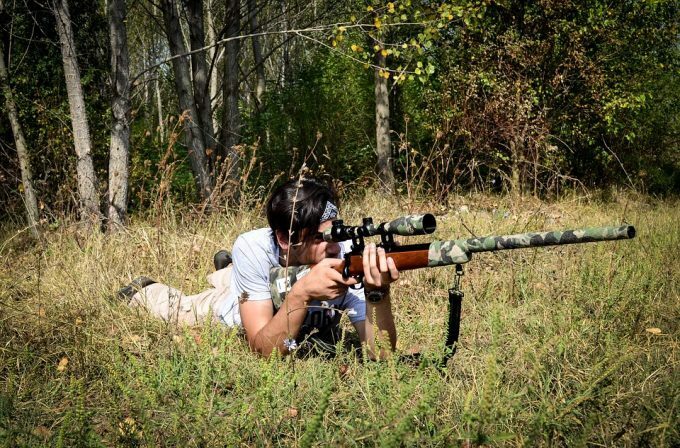 There is no need of worrying about the rain as the riflescopes made with a durable aluminum exterior, is shockproof and nitrogen-purged to keep out moisture and water. Related: The Nikon Sunshade will help to keep down glare that can give away your position when you are out in the field. 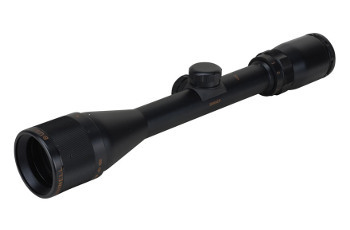 The Barska IR Hunt Master Pro is any hunters dream scope to use out in the field. 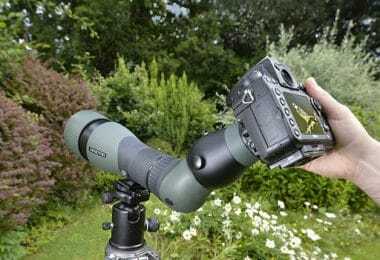 With the 1.5-6 X magnification and 42 mm objective lens, you will spot any game animals from near too far. The optic is shockproof, fog and waterproof helping with weather conditions from the sun to rain. With the fast, focus eyeball feature you will not lose your target when moving the eyes and it is parallax-free out to 100 yards. Further, it has advanced technology as the reticle has eleven brightness settings and great to use in low-light conditions. The aluminum construction’s durable and it has a black matte exterior with a tube diameter of 1-inch. 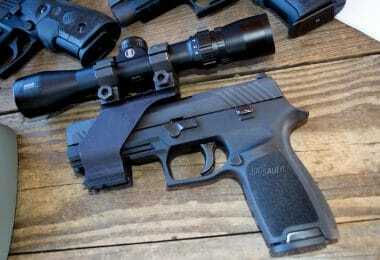 The optics multi-coated and the package include scope caps with a superb warranty. 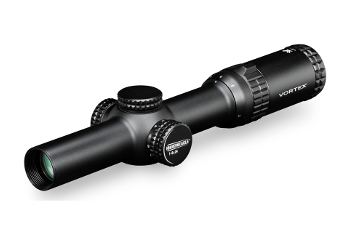 The Vortex Strike Eagle Riflescope has the versatility and speed a hunter needs when tracking animals during the day or night. This optic is perfect for AR shooters who need to shoot at extended ranges. With the high-quality multi-coated lens, you get a clear image when used in low-light environments. For quick target, acquisition, when used in close quarters the 6X zooms perfectly. The nice thing about the riflescope is the level of the crosshair and it’s great for estimating the range, holdover and wind drift correction as it has a second focal plane reticle. The reticles protected between two layers of glass and for precise aiming and it is illuminated. The constructions a single piece with a 30mm diameter and is made with aluminum with o-ring sealed to keep it dust and debris free. Further, it is waterproof and reliable to use out in rainy conditions. The exteriors shockproof and for re-indexing of the turret to zero after you have sighted in the scope it has capped reset turret. For ease of access when focusing the eyepiece it has a fast focus and an eye relief of 3.5-inches. Related: The Defender Flip Cap keeps the sight unobstructed and the Precision Matched Rings provide an outstanding method of mounting your sight to a chosen rifle. 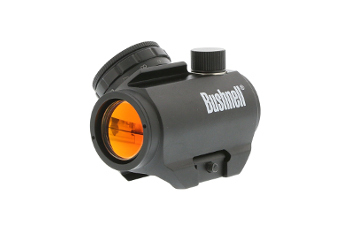 The Bushnell Banner Dusk & Dawn has a durable hardwearing design made from aluminum and shockproof. For hunting in low-light conditions, this is the best riflescope to have. With the tremendous eye box, you get an eye relief of 4.3-inches. The multi-coated optics perfect for any environment and has a one-piece tube construction and 100% fog and waterproof. The windage and elevation adjustment adjusts with your fingertips at ¼ MOA and with the fast-focus eyepiece you keep, your target visible at all times. The scopes suitable to use with different types of rifles including the 30-06 Savage Axis, 22 LR, Black Powder .50 cal and so much more. Related: We recommend you buy a laser bore to prevent wastage of ammo while sighting your scope in. The Bushnell Trophy TRS-25 by Bushnell gives you fast target acquisition with accuracy when out hunting game. The optics have an amber-bright glass and the lens tilted. This riflescope is perfect for low-lighting situations and you will have no trouble seeing your target. Included with your purchase you receive the CR2032 battery and the unit is completely fog, water and shockproof and filled with dry nitrogen. You can easily use the sight with both eyes open as it has unlimited eye relief. Further, it is parallax-free and has a dot that moves with your eyes. The reticles crisp and visible with a red dot circle and you use a control knob to adjust the setting. The optic gives you a full-size performance, is compact, and has lower power consumption. You can easily mount this sight on a Picatinny or weaver styled rail. To attach the scope to the rail there is an Allen screw to secure the unit. Related: Utg Mount is the perfect accessory to make sure your scope is securely mounted to your rifle. 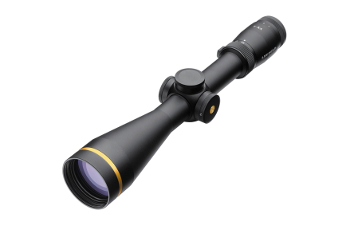 The Leupold VX-6 has many advantages for the hunter with the Quantum Optical System that multiplies by six. The optics are coated and has a 24-k gold-plated decorative ring with matte black finish. 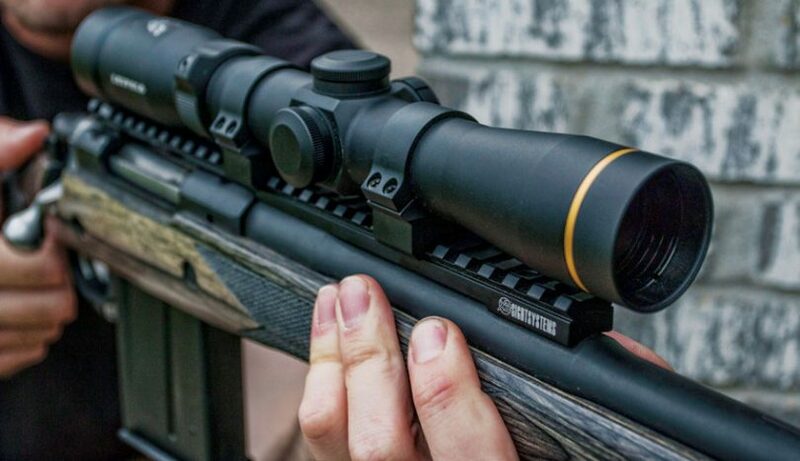 Leupold has made sure hunters can use the riflescope for short and long distance shooting. Stand out features is the Boone & Crockett reticle with a side focus parallax adjustment. Presented in this unique device you get a Xtended Twilight Lens System with multiple anti-glare coatings helping to maximize light transmission. 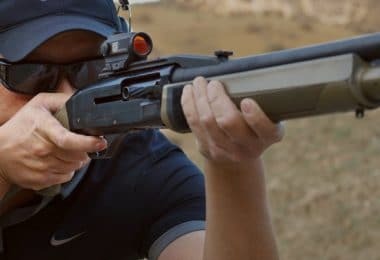 These features make it suitable for low-light conditions and the exterior of the sights are Diamond Coated to protect the surface from damage. 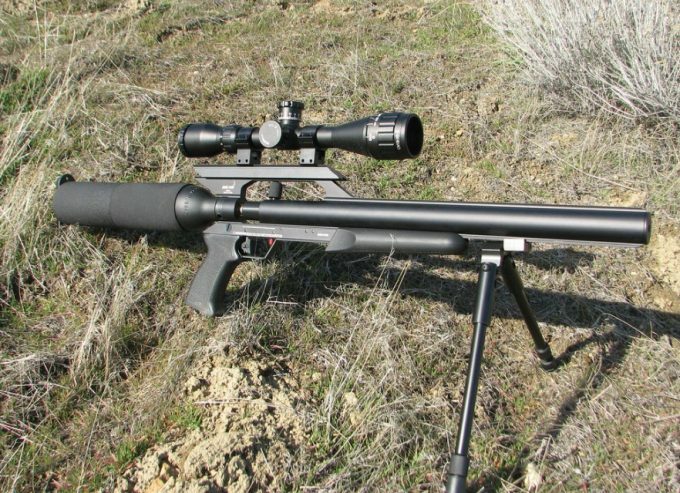 For wind and elevation the optics, offer you a 75 MOA adjustment range with a ¼ MOA impact point correction. Further, it has an illuminated fine center crosshair with bold lines found in the second focal plane. 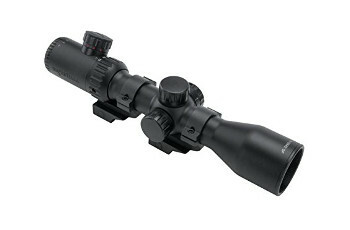 The scopes made with durable aluminum and fog, and waterproof with a twin spring erector to increase the holding force. The housings filled with krypton and argon gas to adapt to changing temperatures. You can easily switch the elevation with the custom dial system. Related: Vx-6 2-Inch Sunshade and Neoprene Scope Cover are the perfect pairings for this scope as they will keep the glare down and protect it while moving through rough terrain. When it comes to low-light riflescopes, there is no need of spending a fortune as each of these units gives you excellent quality. With the added features, you are able to keep your rifle on the target from a short to a long distance while raining outdoors. They are durable and have weatherproof ratings and shockproof structures. The Leupold, Nikon, BARSKA, and Vortex have amazing warranties that stand out from the rest. Nikon is fine scope when it comes to performance and Leupold is a trusted brand by many people. If you are a sportsmen or woman, you will not go wrong when buying these fine riflescopes as they are worth every cent spent. Do you have experience with any of these scopes or is there one that we missed? If so, let us know about it in the comments section below.